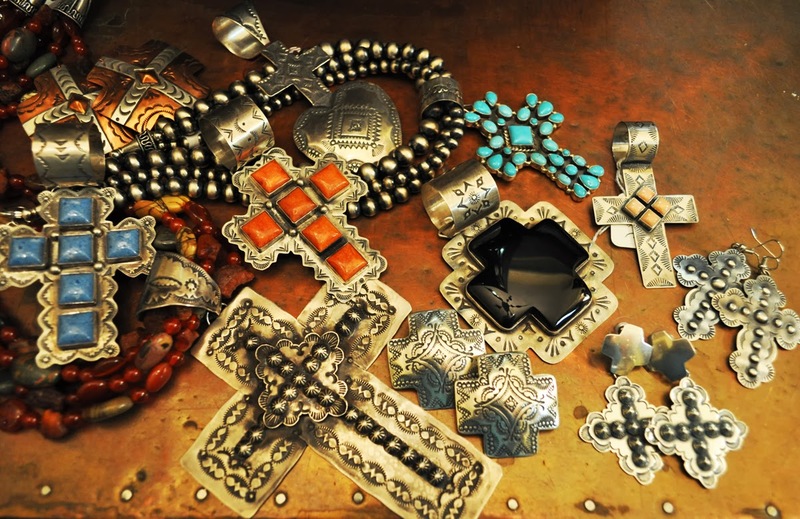 We gathered together all of our beautiful crosses to feature today for Christmas…Each piece unique made of sterling silver and hand stamped…vintage Navajo inspired pieces set with denim lapis, apple coral, kingsman turquoise, and black onyx. If the men in your life are like the ones we know they are shopping this weekend…these are wonderful gifts for them to pick up for Christmas! 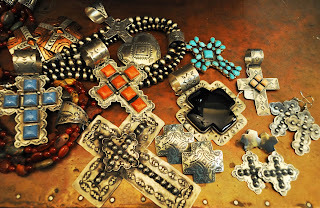 All pieces shown are Rocki Gorman the black onyx cross is by a Texas artist.